Sweet Romance Reads: New Release! Merrillee Whren here. 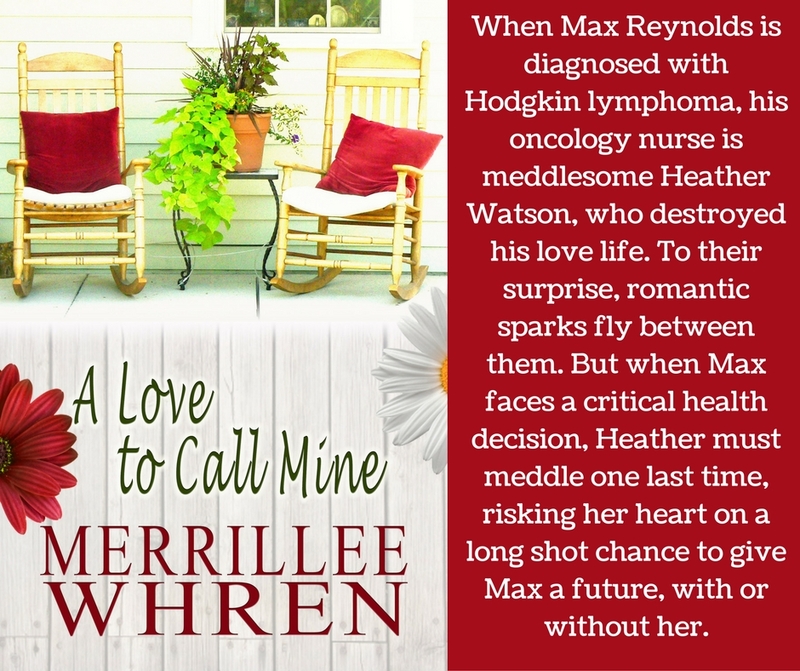 I'm excited to announce the release of the second book in my Front Porch Promises series, A LOVE TO CALL MINE. The hero of this book, Max Reynolds, has a lot to deal with in this story. Here's how I think he'd answer some questions put to him at the beginning of the story. You can find links to buy here. 1. What is your current state of mind? Worried. I’ve just been diagnosed with Hodgkin lymphoma, so the future is very uncertain? 2. What is your most deplorable trait? I tend to look at things with a half-glass-full point of view. I’m trying to have a more positive attitude, but too many things have gone wrong in my life, so I let negative thoughts take over. 3. When and where were you happiest? I was most happy when Brittany was in my life and I was playing college football. I lost Brittany, and an injury ended my football career. 4. Do you own a pet? No pets. I just moved from Montana to Massachusetts for a new job. I can’t have pets in my studio apartment. 5. What’s your favorite food? Pizza. I probably eat it too often, but I don’t like to cook. 6. What do you put off because you dread it? Talking to my mom about my health. She worries more than I do about what lies ahead for me. 7. What is your greatest regret? I regret not giving my former girlfriend, Brittany, the attention she deserved. Her friend Heather is my oncology nurse, and she thinks I was neglectful. She doesn’t have a very good opinion of me, but she’s doing her best to help me fight this disease. 8. Who are your real life heroes? My mom Beth and adopted father Clay. My mom fought to keep me when she was a unwed teenage mother. Clay adopted me after he married my mom when I was a teenager, and he steered me in the right direction and saved me from making some bad decisions. 9. How do you express your anger? Most of the time, I don’t. I usually suffer in silence, but when it finally gets to be too much to bear, I let it all out. Then I wish I could take it all back. 10. What do you want out of life? Right now I just want to conquer my cancer. I also want to find the other half of who I am. My father died before I was born, and I’m non-existent on his side of my family tree. I want to find them and let them know that my existence is a good thing. At the same time, I’m afraid of their rejection. 11. What do you value most? My family, even the family that doesn't know me yet. 12. What does God mean to you? I believe in God, but a lot of times I don't understand why all this rotten stuff has happened in my life. Many times I ask, "Why me, God?" I have to admit that too many times my faith is weak, and I have trouble praying. But I have a host of friends and family who are bringing me along one step at a time. What do you like best about books that are in a series? 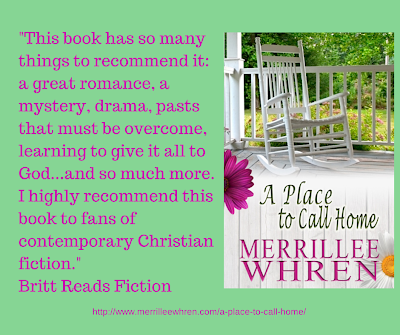 I'll be giving away the first book in the Front Porch Promises series to one person who leaves a comment. I will draw the winner's name, on October 16, 2016 at 9PM PDT. Merrillee Whren is the winner of the 2003 Golden Heart Award presented by Romance Writers of American. She is married to her own personal hero, her husband of forty plus years, and has two grown daughters. Connect with her on her Facebook page and sign up for her newsletter. I love porches! I want a huge wrap around porch on my house so I can soak up the sun from anywhere in want! And of course I want a swing, a hammock, and a couple comfy chairs too! Front porches are definitely made for a swing or hammock as well as the chairs. I love this cover. It reminds me of the many great times sitting on the porch with my Nana. Thanks, Kathleen. There's nothing better than spending time with loved ones on a front porch. Teresa, that's what I like about a series, too, as a writer and a reader. Looks like a must-read story. LOVE the cover! 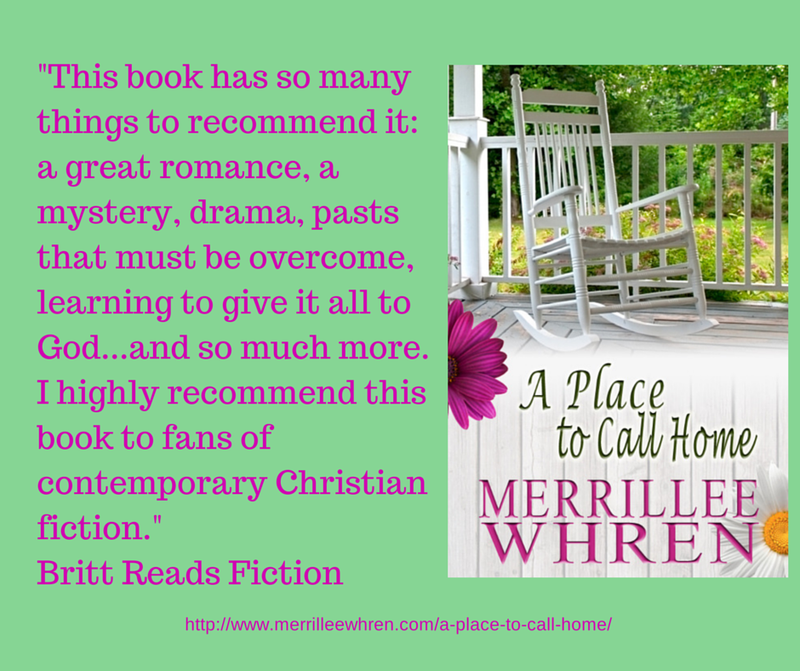 A front porch, a glider swing, and a book in hand. My idea of Heaven on Earth. I love seeing quirky characters filling the community and moving through each others' lives. I often wonder what happened in a character's life later on and series give me the satisfaction of following them.